All parts top rack dishwasher-safe. Do not microwave. Do not freeze. 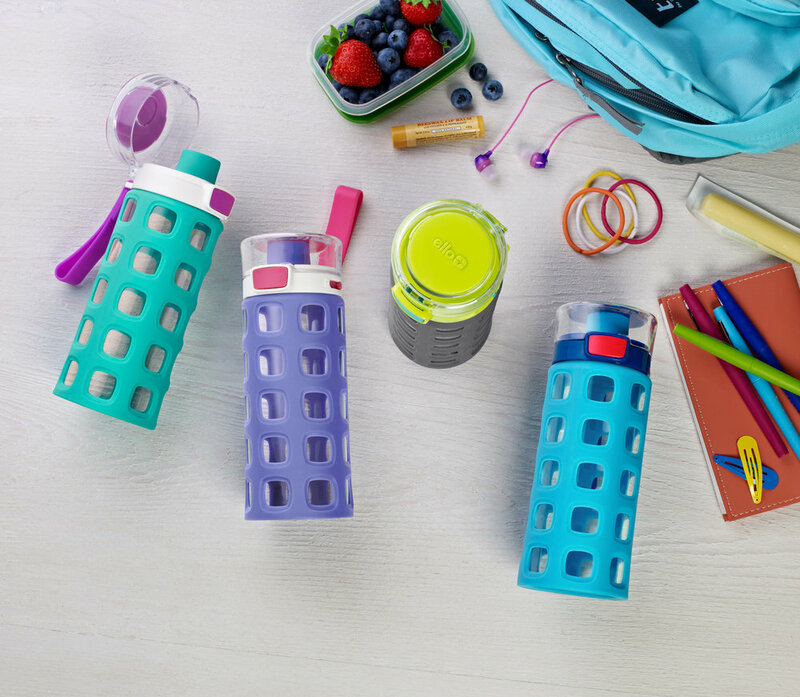 The Ello Dash Tritan Kids Water Bottle is ultra-durable and sized for ultimate hydration. A silicone sleeve on Tritan plastic provides impact protection and a no-slip grip. 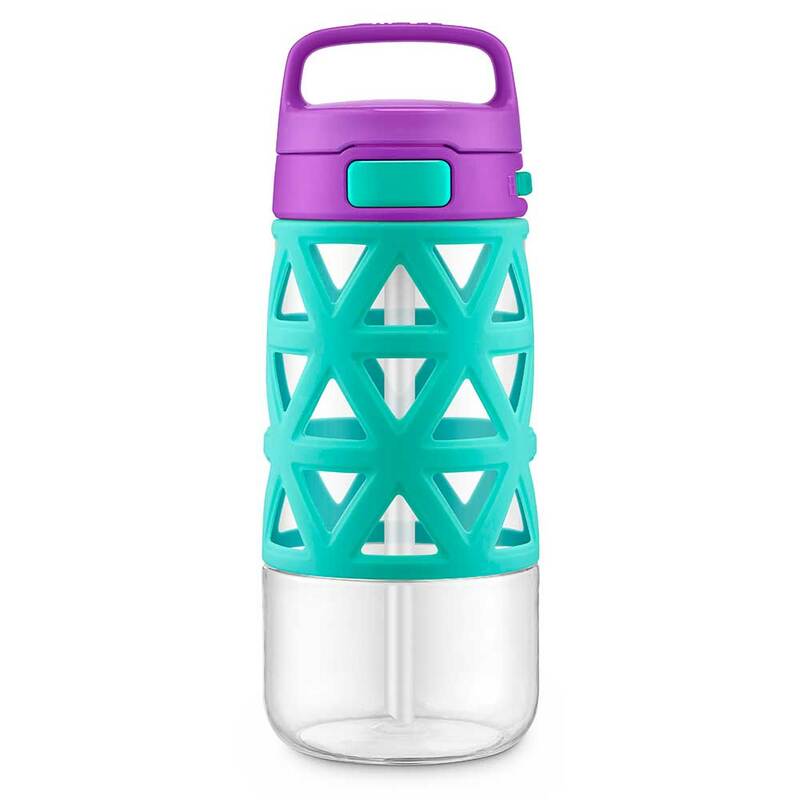 The Ello Dash Kids Water Bottle features a totally leak-proof one-touch flip lid with silicone chug spout so you don’t have to drink directly from plastic. This 16 ounce plastic water bottle is BPA/BPS free and dishwasher safe. Not intended for children under 3 years. Wash before use. All parts top rack dishwasher safe. No need to remove sleeve for cleaning. Silicone spout removes for easy cleaning. Do not use cleaners containing bleach, chlorine, abrasives, or other harsh chemicals. Not intended for hot or carbonated beverages.